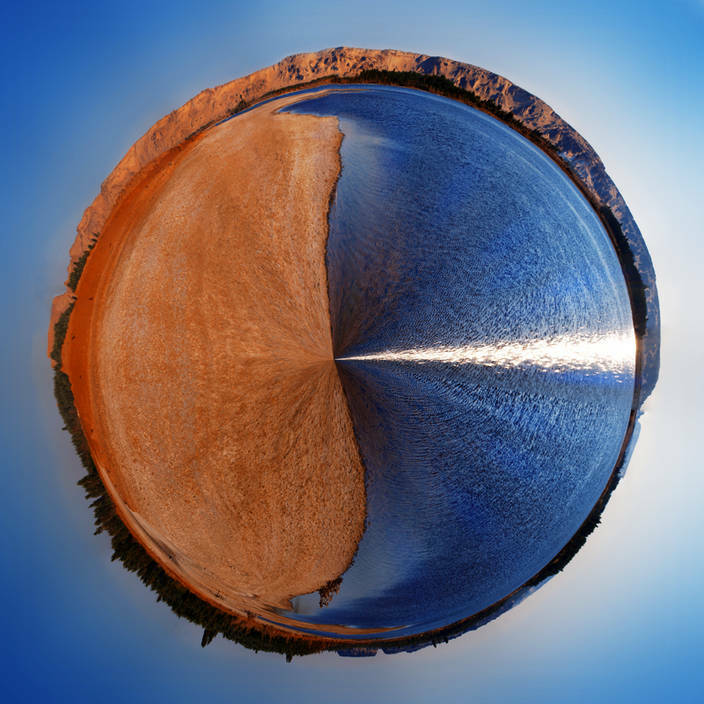 This planet was made from a panorama of a salt lake in the Bahariya Desert in Egypt. I set up the tripod on the shore line which is why the resultant globe is bisected in the way. There was a lot of banding between the 20 images when stitched together. I used Photoshop CS5′s new feature Content Aware Fill to remove the planet so I could smooth the sky to the horizon without contaminating it with blurred planet. This is an easy way to remove banding from sky but it does not work on the sand as you would lose texture. Read this to find out how to make your own planet.